Assessment is a concept familiar across the field of education and is inherent to the work of professors, administrators, teachers, researchers, journalists, and scholars. A multifaceted and politically charged topic, assessment ranges from informal interactions with learners in classrooms to systematic high-stakes testing and examination. 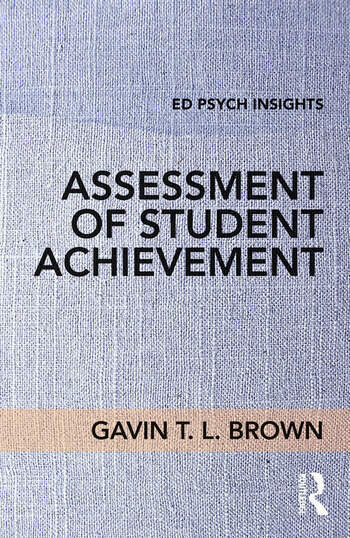 Written by a leading expert on assessment, this book situates the topic within the broader context of educational psychology research and theory and brings it to a wider audience. With chapters on the fundamentals of assessment, explanations of its uses, and advice for best application, this concise volume is designed for any education course that includes assessment in the curriculum. It will be indispensable for student researchers and both pre- and in-service teachers alike.